Christmas 2012 gift guide - Best buys for... someone you don't know well (teacher, neighbour, great step-aunt Doris...) - candles! The festive adverts are on TV, the lights are twinkling on Oxford Street and Primark are selling the tackiest Santa / reindeer / snowman jumpers ever - I declare it Christmas! 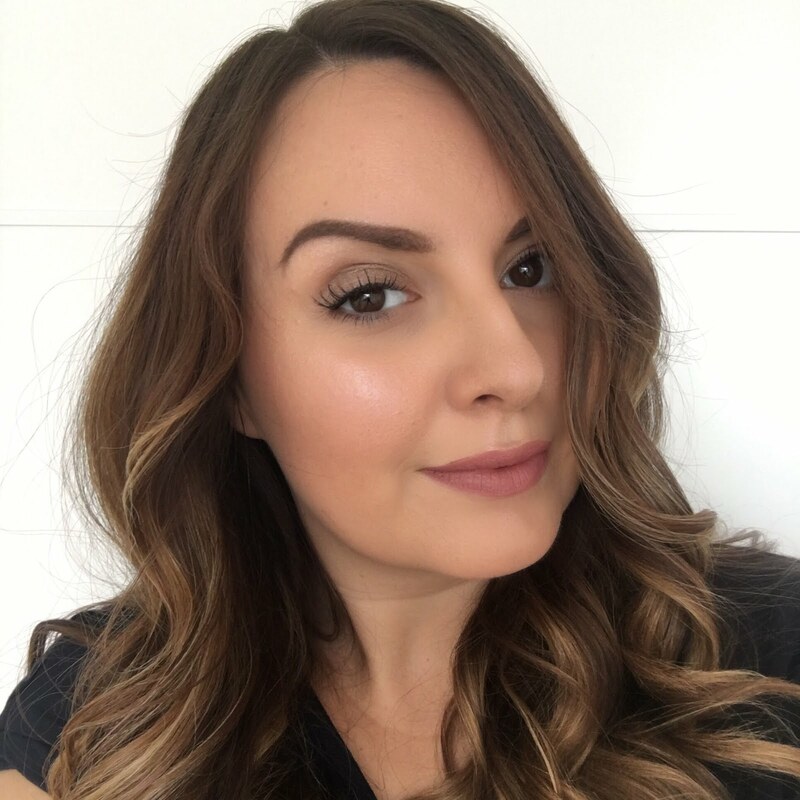 I'm finally in the festive spirit and full on planning mode, so it's time to start my Christmas gift guides. First up - best buys for someone you hardly know - what I mean is when you need to get a gift as a little token or thank you for someone like a teacher, neighbour or colleague, but you don't know them well enough to be aware of their likes and dislikes. I always find candles to be the perfect gift for this scenario. Scented candles are such popular gifts and I think there's no limit to who you can give them to - I've gifted candles to men plenty of times, and they still speak to me, so I think it's pretty safe to give them to anyone. These are my favourite gifting candles this Christmas. I had to include a lily flame candle here, I just think they're so feminine and gorgeous. I love Yankee candles for Christmas and can't wait to get a whiff of cranberry ice. 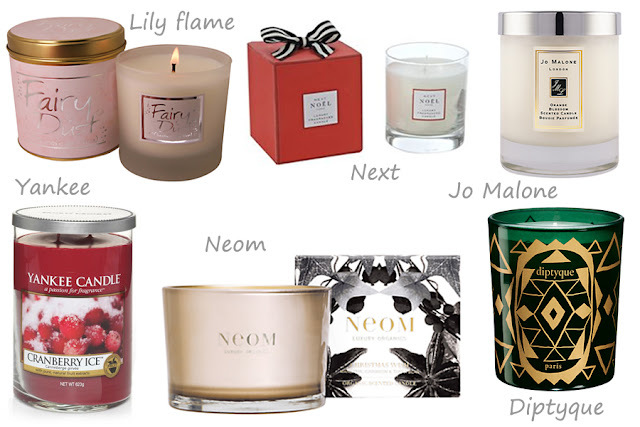 The Neom and Diptyque are more luxury picks and I'd squeal with excitement if either of these appeared under my tree. In the second set I've picked a few more of my favourite single boxed candles which I think just look the perfect amount for a single gift for somebody - they're really easy to wrap too in their square boxes! I've not had a chance to sniff the Liz Earle candle yet, but going by her usual natural and botanical fragrance in all of her products I think I'll like this one and my Mum would too. 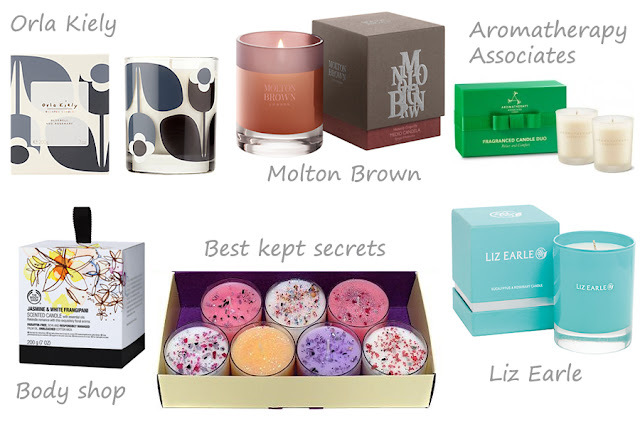 My favourite here has to be the best kept secrets tea light gift set - how gorgeous and sparkly are those candles? This one is on my Christmas list for me and for a few of my friends, such a fab find. Do you give candles as gifts? Which of these would you most like to find in your stocking? More Christmas gift guides are on the way! I know - I ordered three sets of them, they're so pretty! I love candles you can really change your mood with an uplifting scent. They make lovely gifts id be happy to receive them. Esp the Body Shop ones. I dint know they did candles. Me too, I think they may be responsible for starting my candle addiction a few years ago! I don't give out candles or receive them either but I am starting to actually like them more now. I always bought some but never really burned them. THe Lily Flame Fairy Dust candle is one of my favourite candles in the world, everytime I'm in John Lewis I have to give it a sniff! Loving almost all of these candles as well.